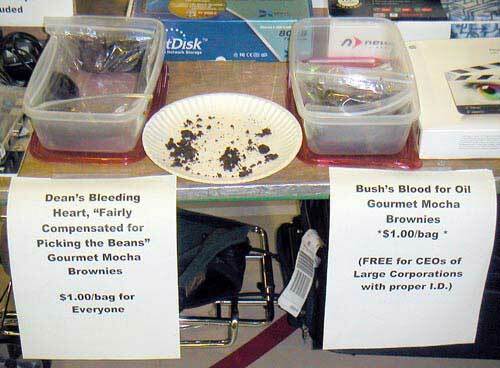 Washington Apple Pi’s Winter Computer Sale & Show featured these unusual “equal time” brownies, a precursor to 2004. Once upon a time, computer shows were dominated by men, but the Washington Apple Pi Winter Computer Sale & Show had some items aimed at a more feminine audience, such as this mink coat. A portable computer accessory?